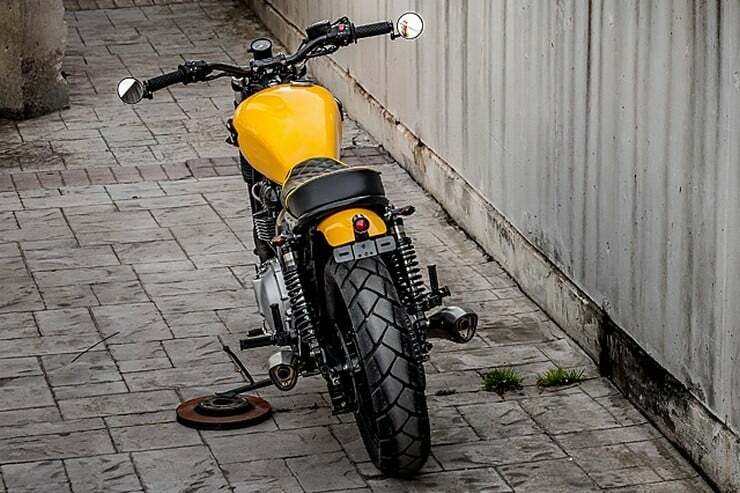 Bsed on a 2001 model (a bike that was in a “sad state” , with no use for more than five years), ‘The Wasp’ was stripped off of its parts for cleaning and much-needed servicing. 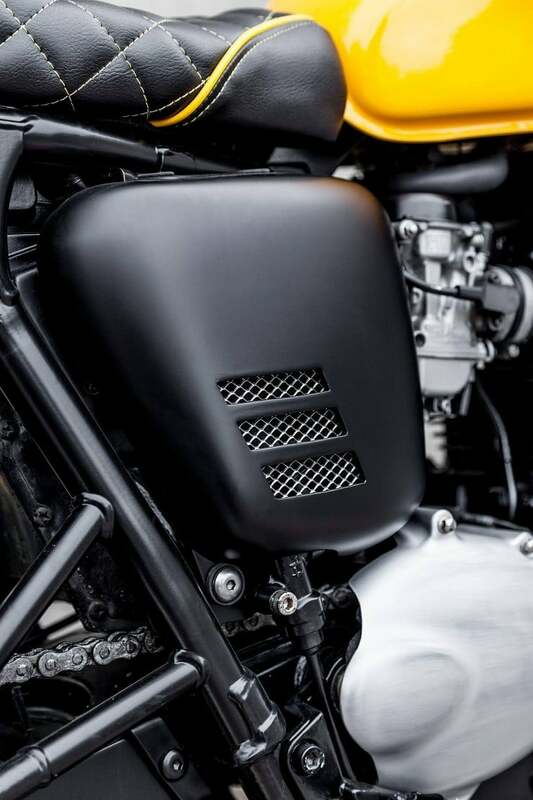 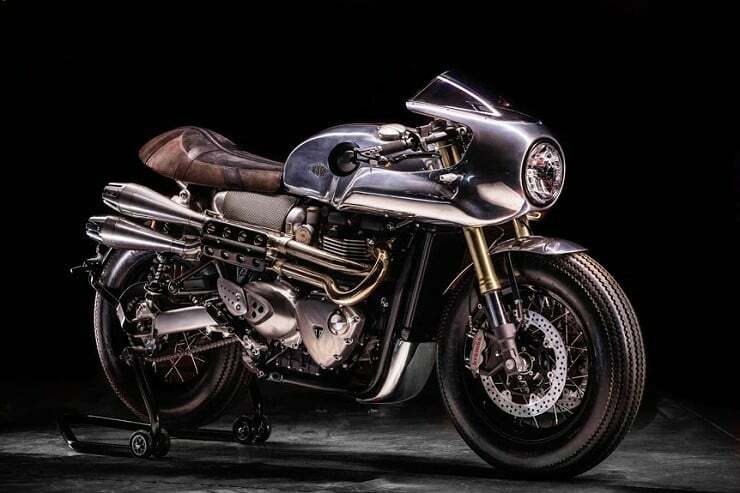 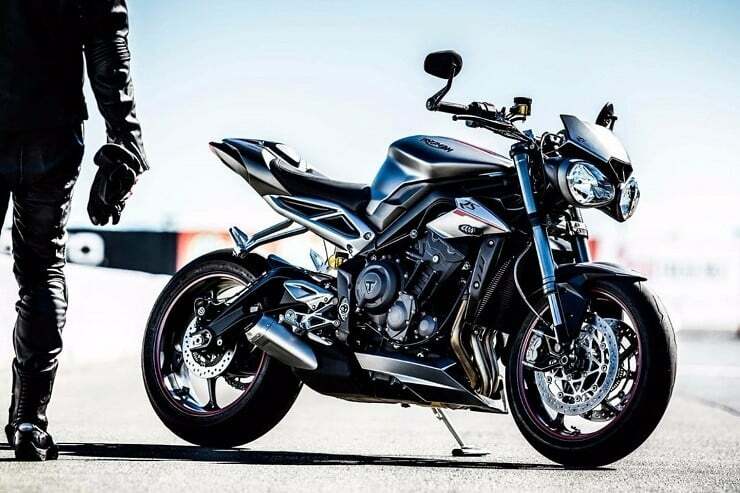 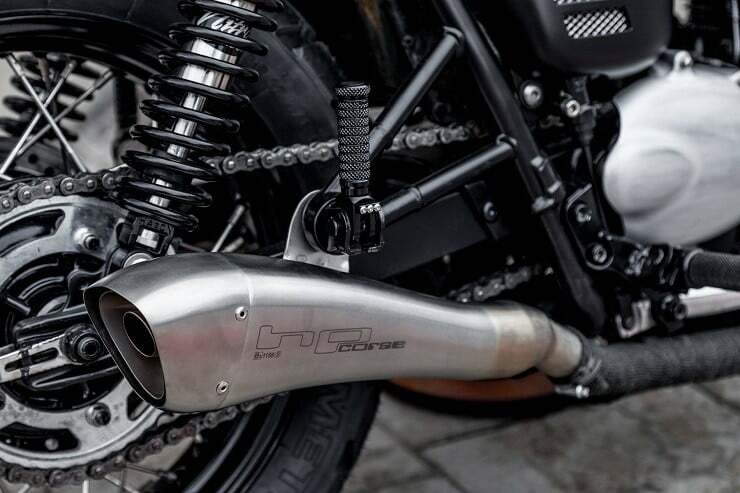 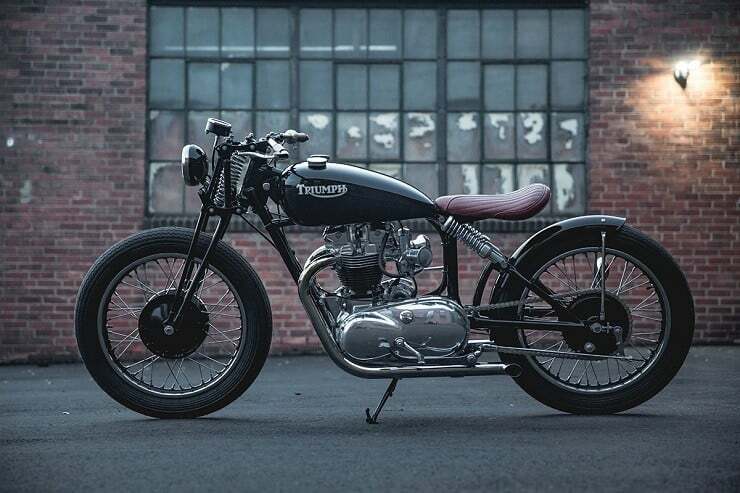 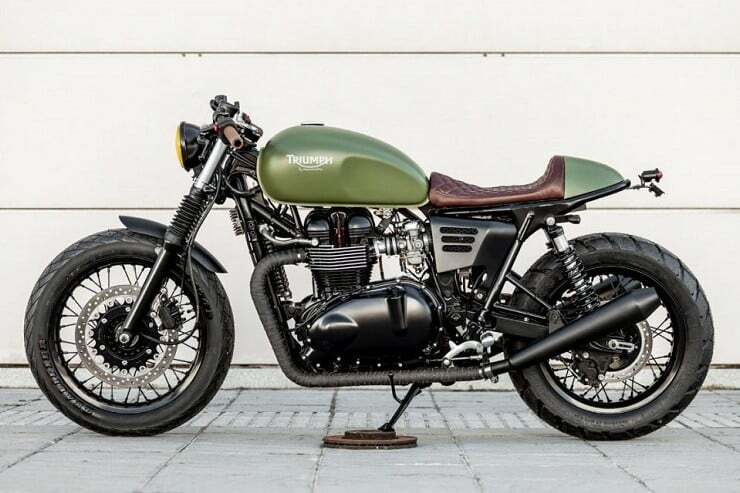 A pair of Italian-designed Hp ‘Corse’ mufflers were fitted to help the engine perform better, while adding a modern touch that’s contrasting yet harmonious in relation with the bike’s classic-looking frontend. 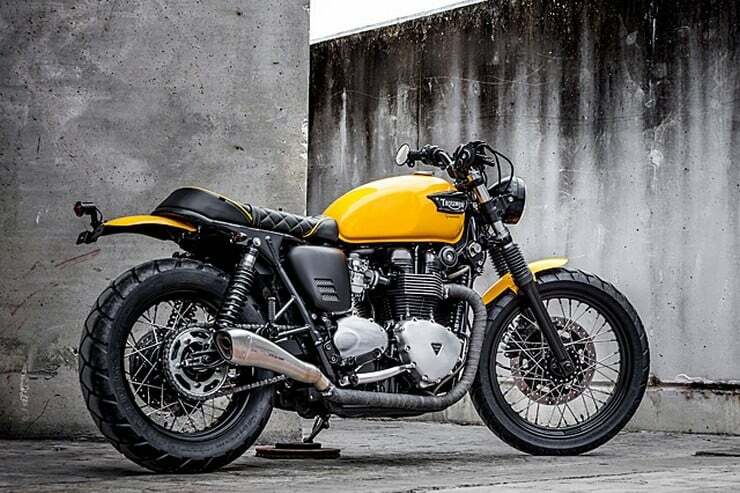 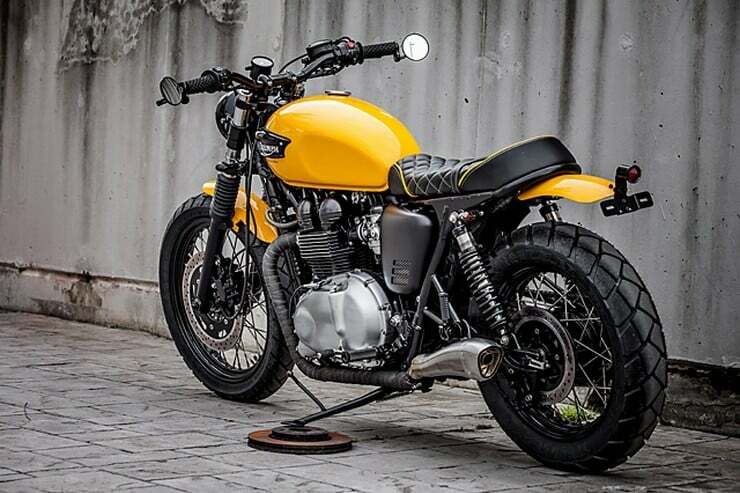 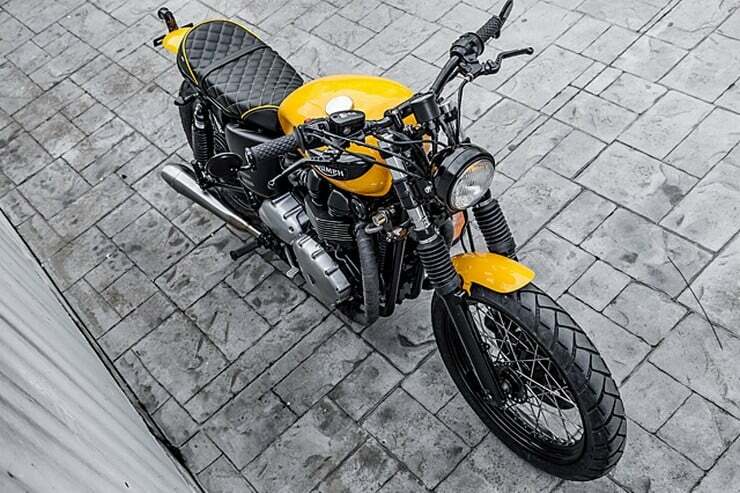 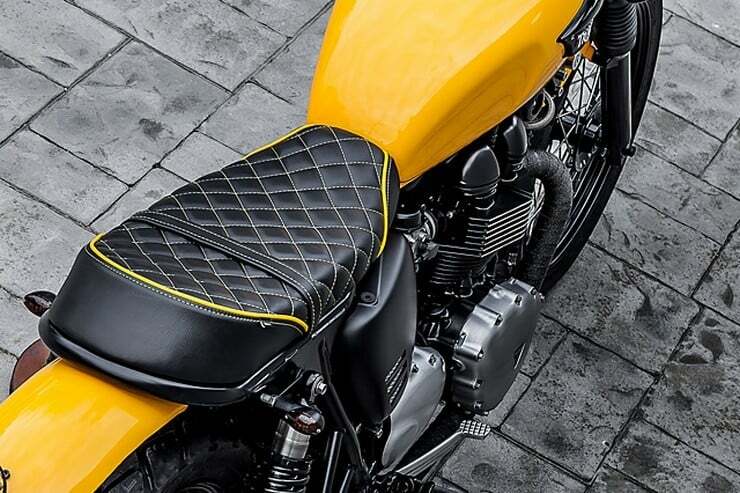 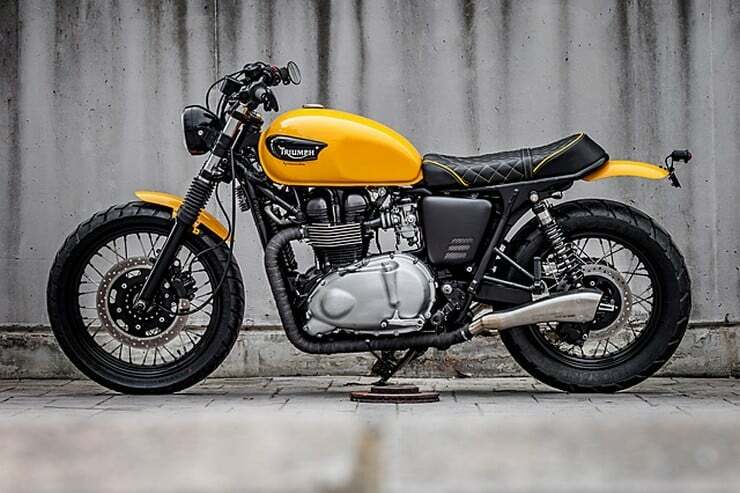 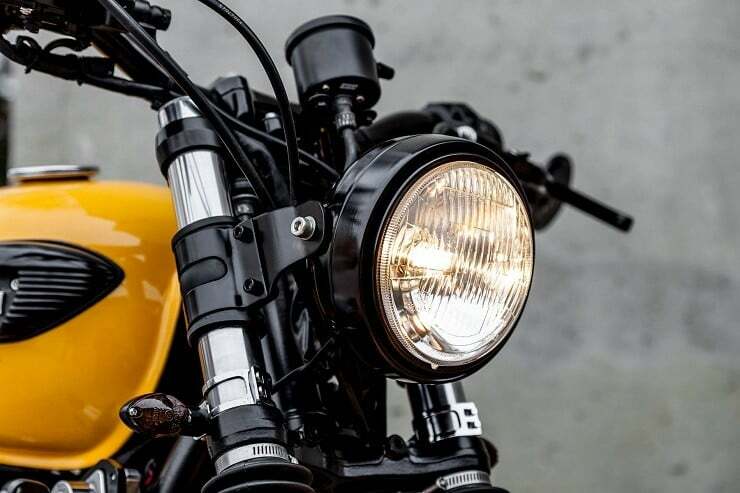 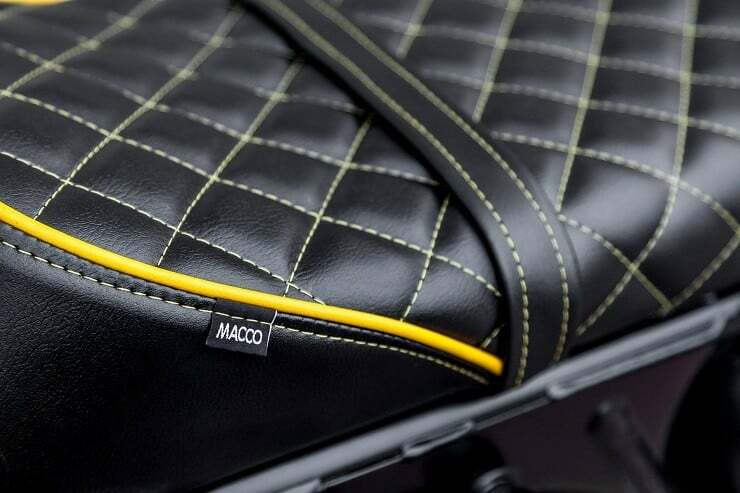 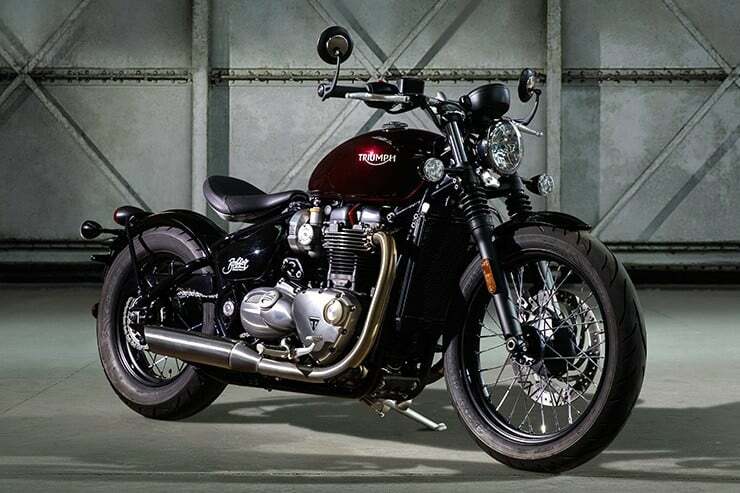 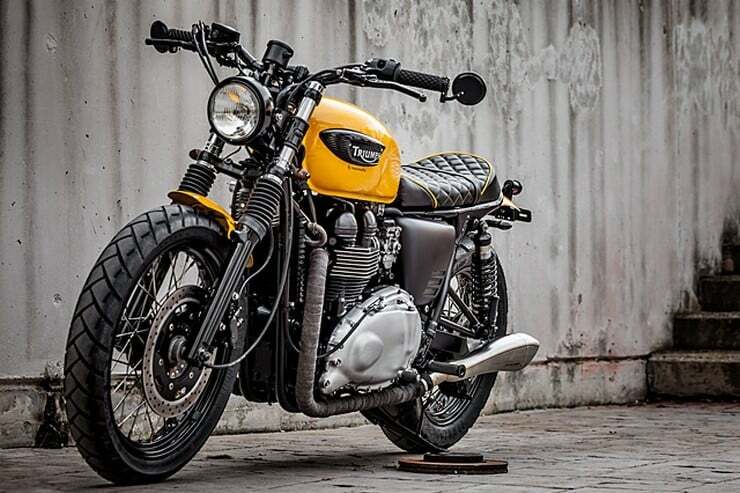 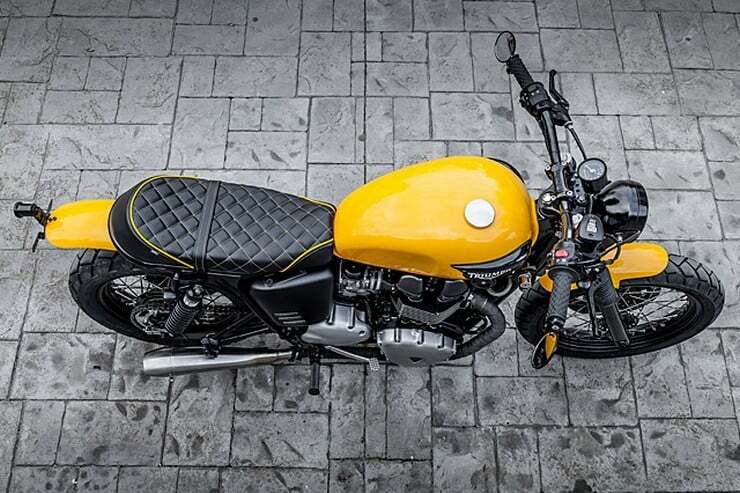 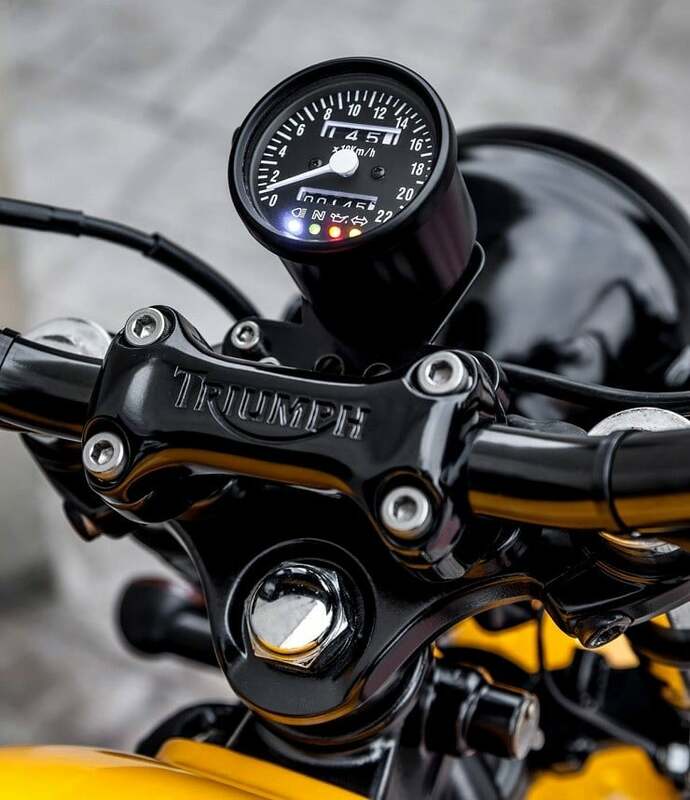 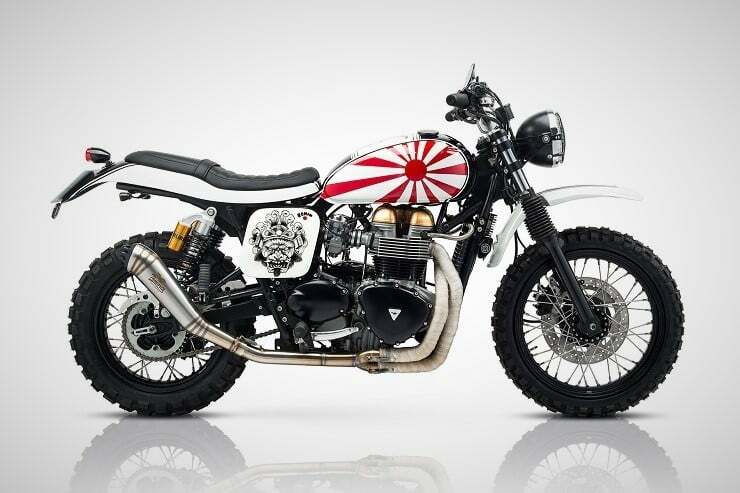 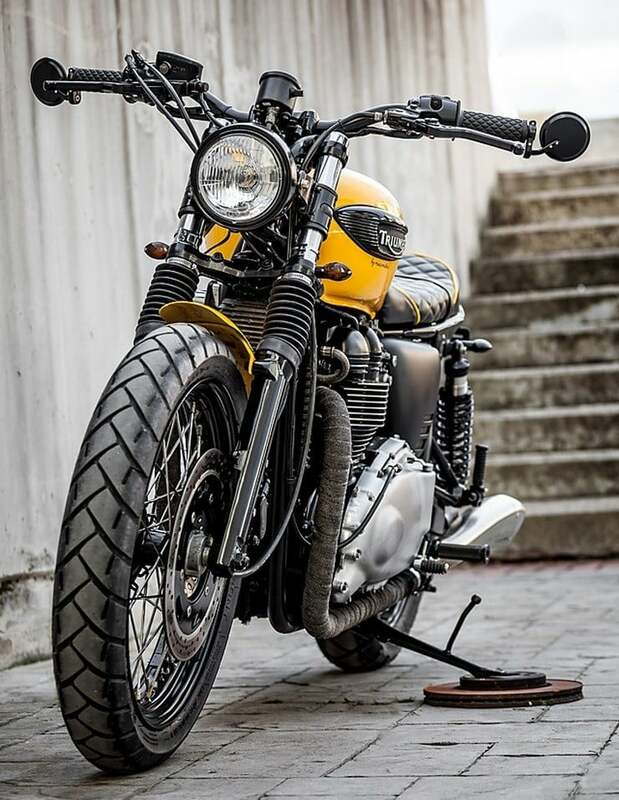 There’s also a new set of Biltwell grips, a minimal analog speedo, Macco Motors’ custom fiberglass side panels in satin black & yellowed mudguards, Hagon Nitro rear suspension & progressive front springs, and a new rear frame holding a beautiful bespoke seat with yellow diamond stitching.